We’re back in Toronto for another multi-residential project commission. This time, WZMH have commissioned us to capture progress images of the Parkway Forest/Emerald City revitalization project. This massive project tackles the unique challenge of transforming a 1960s “garden city” development of suburban towers into a denser, more urban and intensified community. 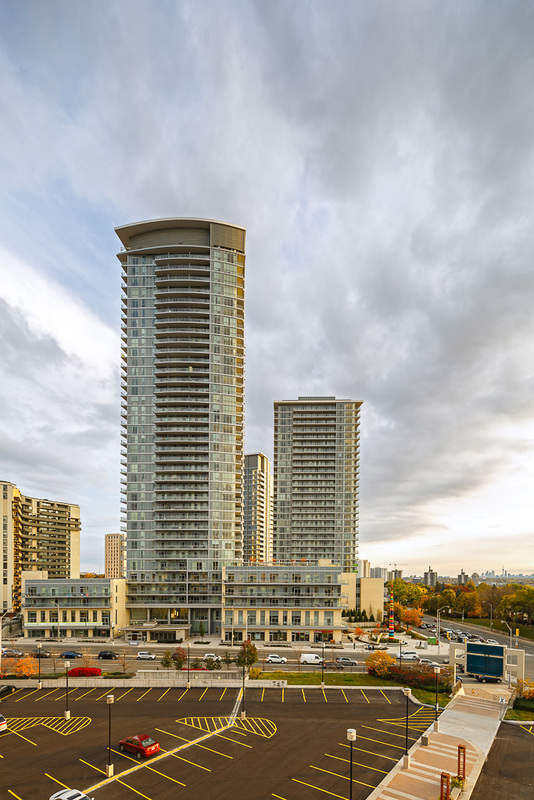 Catalyzed by the construction of the Sheppard subway in the 1990s, the master plan introduces the idea of infill at a community scale: existing high-rise rental apartments are infilled with new residential buildings, including a mid-rise street-edge podium that creates a more urban feel, new towers (ranging from 25 to 36 storeys,) townhouses and a mix of unit sizes and ownership models ranging from rental to condominium. The plan emphasizes pedestrian connections, including a series of courtyards between the new and old buildings, and a landscaped pedestrian route that runs between the subway to the north and parkland to the south. 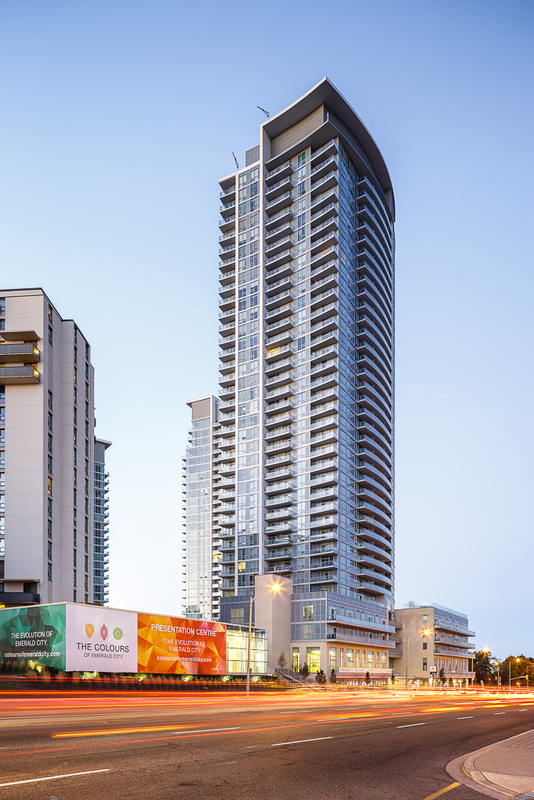 The master plan was the culmination of an intensive community engagement process with residents that included dozens of public meetings over an 18-month period, and is the recipient of a Toronto Urban Design Award. 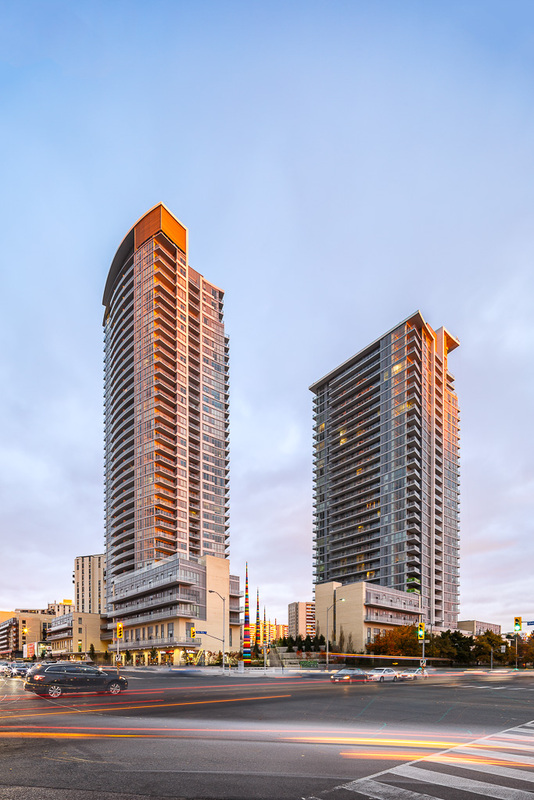 The first phase of construction includes 2,200 condominium units in six signature towers (branded as Emerald City) and 332 replacement rental units in four low-rise buildings (under construction). 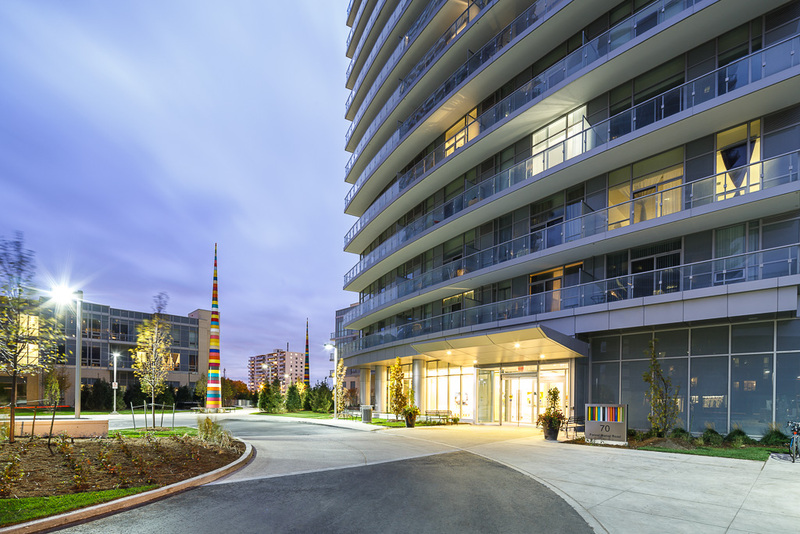 Smaller podiums and townhouses scale the taller buildings to the adjacent street and, together with a variety of landscaped open spaces, contribute to a vibrant urban neighbourhood. The community will be home to some 8,000 residents, with amenities that include a new community centre, daycare and community offices.